Truly a golden era for BBC2 in the popular docs department. Buoyed by the excellent work of Robert Thirkell and the long-standing interest in real people, via initiatives such as TV Nation, there was a slew of shows like this. On this episode of the proto-Wife Swap switcheroo programme, old Labour’s Paul Dainton recounted to the future Mr Kate Garraway how once during a visit by Peter Mandelson to a coal mine, Dainton and his pals seriously considered actually shitting on the architect of New Labour as he descended down the mine shaft. We always found Peter Snow to be perfectly affable, but he was never enough to paper over the ill-considered magazine report format that was foisted upon Tomorrow’s World in its later TV years. The programme should have always stayed true to its “sciency Blue Peter” original remit. TW’s more recent digital-only resurrection was fatally flawed for us, by the production team’s insistence to wrongly stress the word “tomorrow” in the programme’s title. It’s “Tomorrow’s WORLD” dammit! 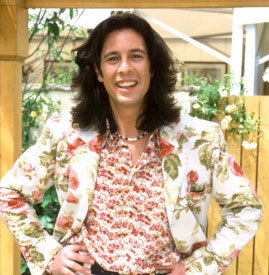 “This week Laurence Llewelyn-Bowen and Liz Wagstaff tackle bedrooms using Feng Shui and Gothic style”, we bet that neither property still bears any vestiges of what were doubtlessly horrible and slapdash makeovers. Nonetheless, we loved everything about this show… except Handy Andy. 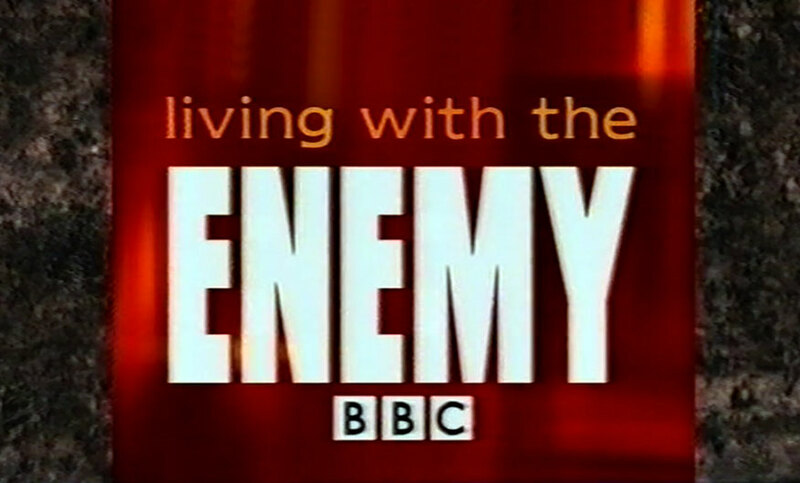 I remember a description of Living With the Enemy as the sort of television you watched between your fingers. It was incredibly cringeworthy, but you couldn’t look away, and often both sides came out looking terrible. The only one where everyone was actually nice was the Cradle of Filth episode (don’t know what that did to the band’s cred). The artists one is among the most excruciating bits of TV ever. It was kind of the anti-Faking It, where in that everyone was nice and encouraging, except it had the motorsport episode to balance out the overall geniality. I forgot that Tommorow’s World ran this late, as I’d lost interest a few years before. There were so many home improvement shows around this time, Home Front was one of the earliest & best. Within a few years there were so many programmes showing what you could de with Medium Density Fibreboard. The shelf full of teapots collapsing is a classic moment. Tomorrow’s World was given the graveyard slot opposite Coronation St and left to die, a sign the BBC had lost interest in what was once a highly entertaining and informative show on Thursday nights.